The PHC Zebras and Hamilton Parish will now travel to the Somerset Cricket Club on New Years Day as they will make up the second half of the Friendship and Shield Finals following victories at Lord’s in St. David’s. 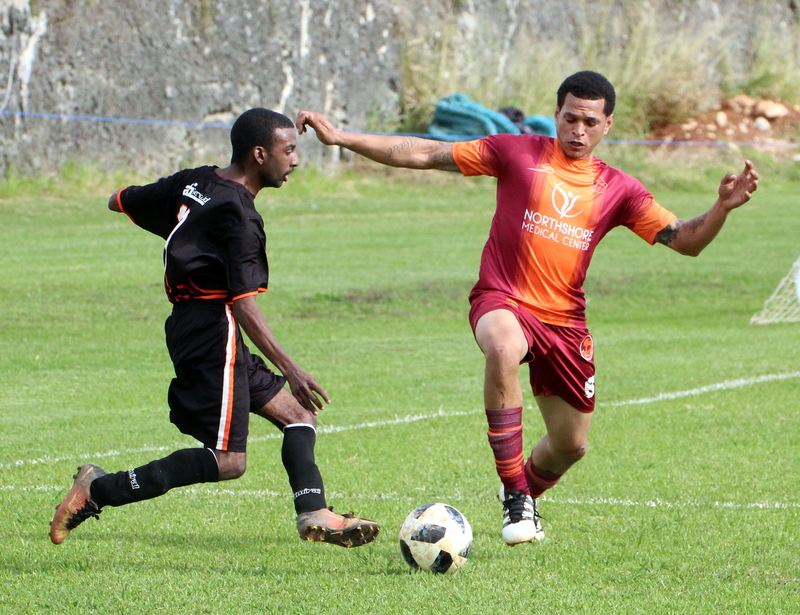 The PHC Zebras will defend their Friendship Trophy they won on New Years Day 2018 at the Wellington Oval following their 1 – 0 win over Robin Hood in their Semi-Final battle. This game was a see-saw battle as the teams played scoreless through the first forty-five minutes. In the second half the two teams battled even harder to try to find the opening which came in the 78th minute when substitute Kole Hall was on hand to head the ball into the net from close range after Robin Hood goalkeeper Dale Eve did well to get down to a low shot, but Hall made no mistake as the PHC Zebras advanced to the Final. Hamilton Parish booked their ticket to the New Years Day final but needed 120 minute to defeat the Devonshire Colts 4 – 2. Hamilton Parish would take the lead in the 7th minute when Chris Caisey scored from a direct freekick with the Devonshire Colts Goalkeeper Jahniko Francis mistiming his jump and could not prevent the ball from going into the back of the net. One minute later the score was level, when a Devonshire Colts freekick resulted in a Hamilton Parish defender heading into his own net. The two teams would need to be separated as the half drew to a close following a tackle resulting in contact between two players. Three minutes into the second half the Devonshire Colts would take the lead when Chemarl Henry scored, but it was 2 – 2 in the 75th minute when Shayne Hollis scored for Hamilton Parish. The game would go into Extra Time and after 103 minute Hamilton Parish would take the lead when substitute Giovanni Saltus scored and then Caisey would score again in the 120th minute to earn them a spot in the Final.